Christmas came early for East City Films in September as we won the rather wonderful opportunity to work with Coca-Cola and The Kingdom Choir (of Harry & Megan’s wedding fame) to create a music video for a new extended version of the much loved ‘Holidays Are Coming’. 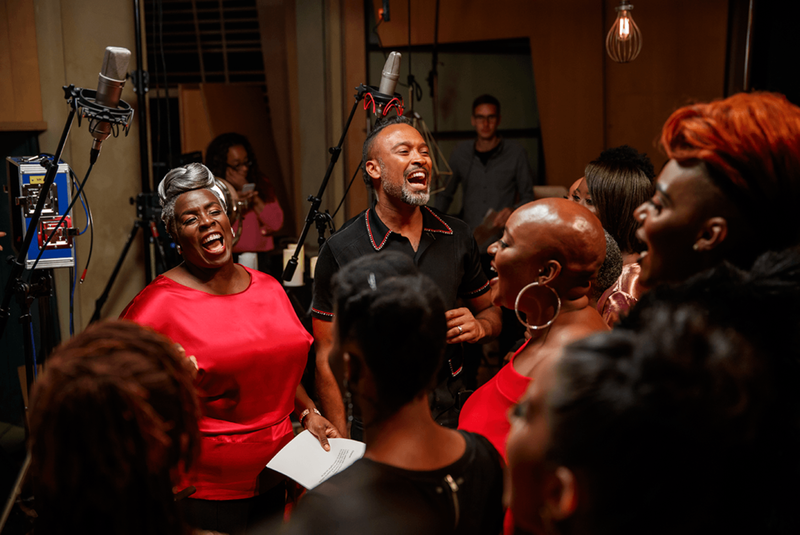 The Kingdom Choir, along with German artist Namika and French artist Camelia, collaborated with Coca-Cola to great affect, re-recording the festive anthem which has been released as a single and is also the soundtrack to the iconic Christmas truck ad. Olivia Emes directed the music video, which was conceived as a coming together of artists to record the song at Metropolis, the world famous recording studio in Chiswick, London. To run alongside the music video Olivia also directed the behind the scenes film which captured the magic of the two day shoot in South West London. The behind-the-scenes film capturing the magical 2 day shoot that went into creating the Holidays Are Coming music video.